Get ready for the most incredible science win ever, delivered by none other than Neil deGrasse Tyson. He’s pretty much the king when it comes to shutting down people who peddle bad science, but this most recent case completely takes the cake: When an 8-year-old told the badass astrophysicist that she wanted to live on Jupiter, he completely shut her down using science. Amazing! How many times can Neil deGrasse Tyson win the internet? The epic science burn happened toward the end of one of Neil’s lectures at the Hayden Planetarium in New York last weekend. Third-grader Liza Collins was attending the lecture with her parents, and during the Q&A session, she raised her hand and told Neil that she wanted to live on Jupiter. But Neil wasn’t about to let her—and her bunk science—off the hook. What happened next was nothing short of pure NdT gold. Needless to say, the girl had ZERO response! And of course, Neil didn’t let it end there. After the event, the Cosmos host took to Twitter to really show Liza what’s what. 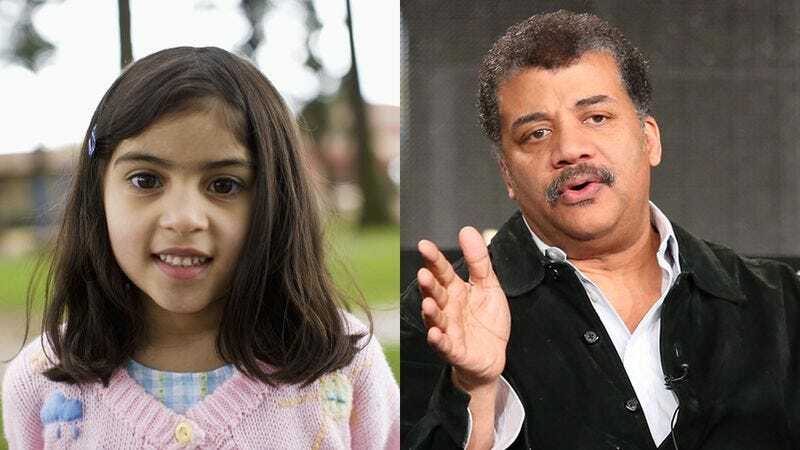 First it was climate change skeptics, then it was the shaky physics behind Gravity and Interstellar, and now it’s 8-year-old Liza Collins—they all prove that Neil deGrasse Tyson and science are literally the greatest things of all time. Keep doing you, Neil!